Prepare for launch with the amazing TIE Striker, the Empire’s atmospheric patrol fighter! Open the mini-figure cockpit from the top or front and put in the TIE Pilot. Help the Imperial ground crew member put supplies in the rear hold and arm the spring-loaded shooters. Then adjust the huge wings and launch into the skies in search of rebels! 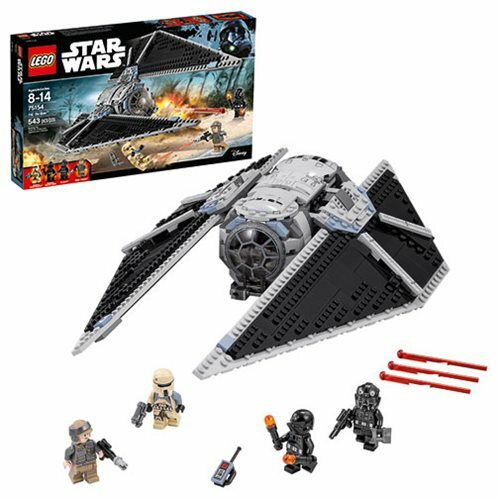 The LEGO Star Wars Rogue One 75154 TIE Striker includes 543 pieces. Ages 7 to 14.